In this review we are going to show you that “Citidel” is a scam on binary options that can make you lose your money. In a video presentation you can see a no name guy talking about the Citidel Investment App. He says that it has been created by Dr. Kent Grifly and his team. This app is supposedly making every user $144,000 per month, because he spent half of his life tuning it. Now you can get a free access to it. Sounds like a miracle, but it is of course not true. As it is always the case with binary options scams, there are a lot of things that prove that Citidel is just a big fat lie. Photo taken from Hilleso Designs. First of all Citidel Investment company does not exist, we have verified it. Secondly Dr. Kent Grifly, a supposedly renowned economist, does not exist. His photo was taken from a fashion brand and then they hired an actor who is trying to play his role in the video. 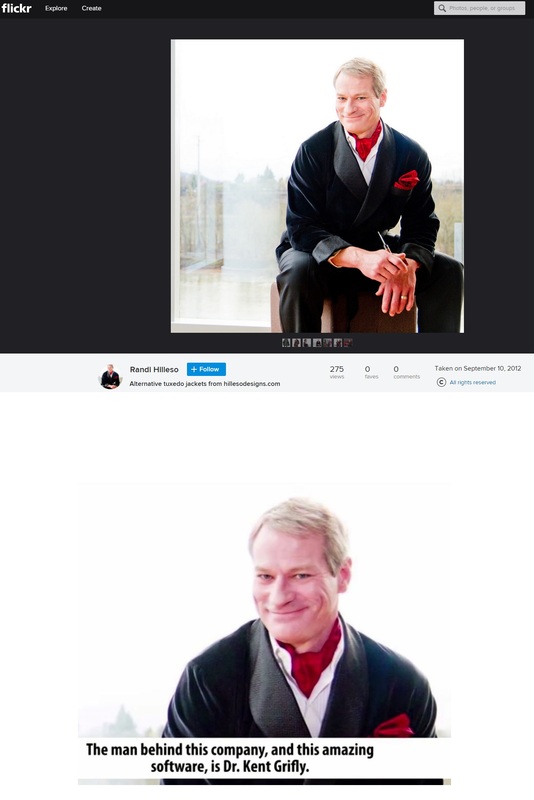 Check the image and the link on the right to see the truth about the Citidel’s identity. The bank and trading accounts statements shown in the video are fake. Just look at one of them on the right, you can clearly see that there is a six year difference between dates on the same screen, they just forgot to fake the second one. Photo already used by the Secret to Success scam. The same way they faked all the above mentioned identities materials, they also faked the testimonials. What is funny is that scammers are obviously getting lazy, so they are using the same photos again and again. Here is one example. The fictitious creator of Secret to Success Timothy Galvaki has now become Rob Delanu and Harry Peack within the Citadel’s web pages! So all the testimonials are fake, in the video you can see paid actors only. The Citadel Investment App works as all the other scams. 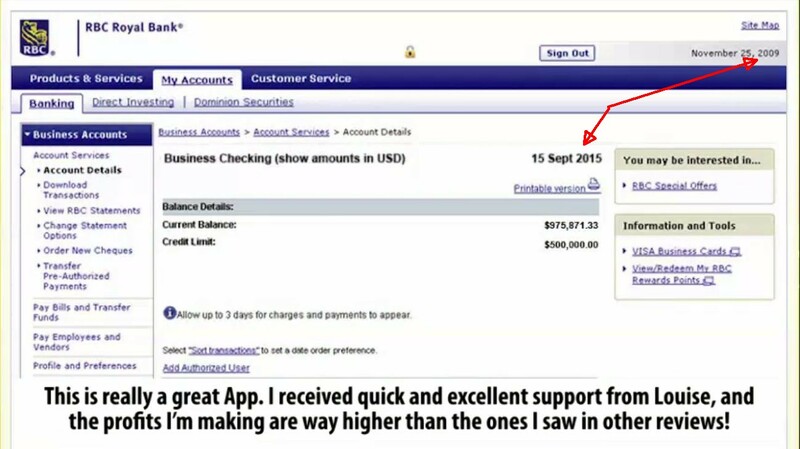 You will have to open a binary options account and deposit $250. Then you will trade it with their app and lose your deposit. But the creators of the scam will get paid their affiliate commission. End of story. Scammers are abusing binary options, which is really sad, nonetheless binary options are a great tool if you are interested in trading. You can try them for free on a demo account and see for yourself, but never trade live with your money until you are profitable on a demo. This is how trading works, you have to learn and build a profitable strategy on a demo, then you can start making money live. Nice work. Seems that 95% scam in the binary options world these days. “I also subscribe to Binary Options Watchdog. 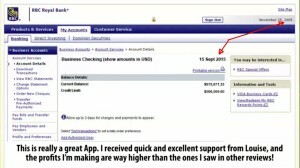 I have just received their latest post regarding Citidel LTD Investment App review. I have spent last 2-3 hours researching as I have never heard of it, you stated on your channel to not rely on others and do your own research. I am a bit concerned because Watchdog recommend Citidel and when I tried to post a comment on their site saying there is evidence here it is a scam, they did not post what I wrote. Also the Watchdog link to Citidel site has a click id link next to it, which would indicate Watchdog is getting paid to direct traffic to that site, being paid as an affiliate. I feel that Watchdog might be advising people to invest their money in scam auto trader sites whilst blacklisting others. Thus gaining some credibility because they are taking action against a large portion of scam traders. To be seen doing something to qualify their existence is how some people would refer to it. If you have not already done so I would suggest you check out citidelltd.com and do your own research. My perspective so far is that it smells like a scam and a very good one, but there are indicators here that it is a scam. The founder of this autotrader is a Dr. Kent Grifly, he has a Bachelors and Doctorate in economics from Iowa State University. I have emailed Iowa Sate University and am awaiting their reply if a Kent Grifly attained those qualifications from I.S.U. The website video also describes him as a speaker of national and international financial standing and attending many institutions and seminars around the world. Kent Grifly became the chief strategist and chairman at Grifly Capital LLC. He has been a speaker on the FB Investors Cruise, The Financial Expo in Las Vegas, and The WMS in Toronto. I cannot find anywhere on the web information or background on Grifly Capital LLC! The same goes for FB Investors Cruise! There was no Financial Expo in Vegas. but there was a Traders Expo but no Dr. Kent Grifly! And the WMS in Toronto was a Woodworking Machinery and Supply conference! Not much to do with Financial Investment or Binary Options! 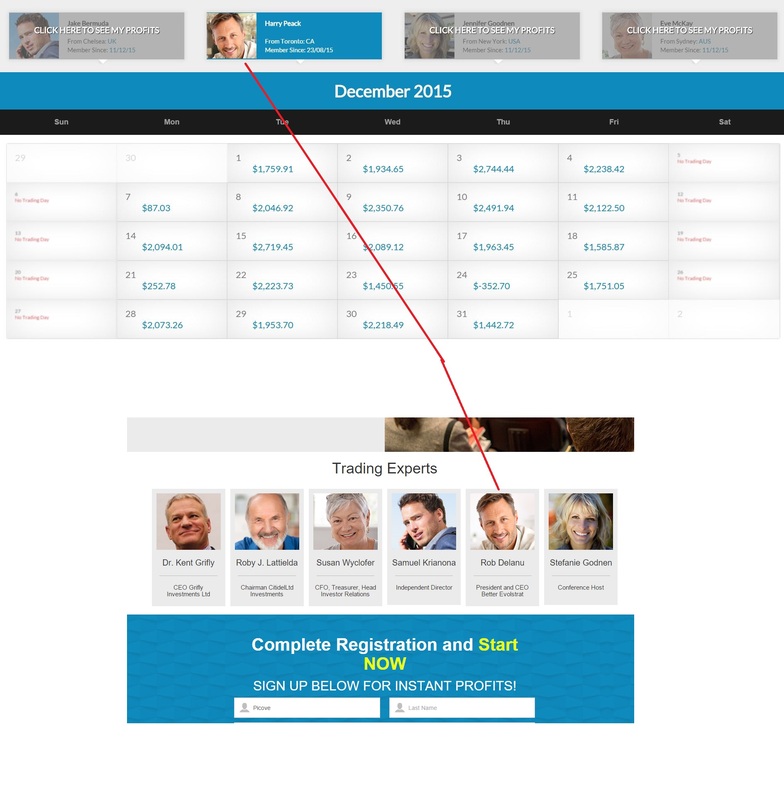 Now to the website, it shows live results from four people for the month of December 2015. It shows their profits every trading day throughout excluding the weekends, when of course there is no trading. 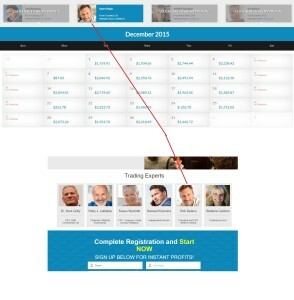 But it shows trading on the 25th December! Now even I know there is no trading on the 25th because that’s a pretty big holiday right? And three of the investors shown, they joined on the 11/12/15, so how could they earn money on those first few days of December? Unless of course it is the US month/day/year? But then the 4th investor who is called Harry joined on the 23/08/15, he could have earned those profits every weekday throughout December (apart from Christmas day!!). But if the date he joined was also month/day/year, that would mean he joined on the 8th of the 23rd month 2015??!! yeah whatever!! Also the photo of the investor Jake Bermuda from Chelsea, it’s a stock photo bought online if ever I saw one!! And lastly Citidel Ltd copywright logo is 2016! Watchdog claim to have tested it for months, earning thousands of dollars! Well I may be naive but the copywright logo would be 2015 not 2016!! Well that’s what I emailed, and I came to the same conclusion as yourselves, if Clark Kent or whatever the f*** his name is existed in such standing, you could easily google him!! Citidelis definitely a scam. I opened an account with them several days ago, my cousin also. Each account was at $300 initially. Now, after 2 days of their trading, and they did a lot of trades, inspite of change of settings from 5 trades a day to 1 trade a day (neither the first, nor the latter were honoured by them), my account stands at $120, and my cousin’sat $114.